This regional award is given to just one member who, over a period of time, has provided outstanding service and leadership to the Midwest Region through involvement in activities such as board office, councils, task forces, committees, and/or teaching. Demonstrated active involvement/leadership in the operations of a Midwest Chapter and/or the Midwest Region. National CUPA-HR involvement is encouraged but not required for this award. Examples of active involvement include formal CUPA-HR elected or appointed officer positions, committee assignments, a leader in providing professional development opportunities to members at the chapter and regional levels, etc. Contributions to the development of CUPA-HR programs and services, such as author, conference presenter, conference program or activities. CUPA-HR programs, services, or activities that can be directly attributable to this individual’s efforts. 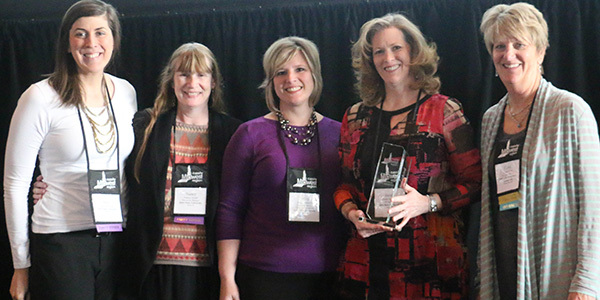 This award recognizes a Midwest Region chapter that is making a significant impact through its commitment to CUPA-HR and to the higher ed HR community. Nominations may be submitted only by members of the chapter boards.